The majority of acoustical consulting work for single and multi-family residential developments falls under environmental acoustics. Noise impact studies are required where a residential development is proposed within specified areas of noise exposure. Residential projects can also include acoustic and audiovisual system design of home theaters as well as the design of wall and floor/ceiling assemblies of multi-family buildings to meet California Building Code requirements for sound isolation between units. Mixed-use buildings present added noise and vibration challenges with typically larger scale HVAC systems and incompatable adjacent uses. AEC will provide a fee proposal based on the client provided site plan and project description. Once the proposal is accepted, AEC will begin by researching local noise regulations and conducting sound tests at the project site. Sound tests are necessary to calibrate the noise modeling software. The data is then analyzed and manipulated into tables and graphics suitable for the report. Information is gathered during the testing process and includes determining bordering land uses, conducting traffic counts, and assessing site specific details not shown on the site plan. Additional data must be obtained for the study including existing and projected road or rail traffic volumes and Airport Land Use Compatibility studies. Day-night average (Ldn) or Community Noise Equivalent Level (CNEL) exterior sound levels are predicted for existing and future plus project conditions. California Environmental Quality Act (CEQA) guidelines require that impacts be evaluated for future conditions. Interior sound levels are also predicted based upon the site plan, architectural floor plans, exterior elevations, and proposed exterior wall and window construction for residences. If required, mitigation measures are developed to reduce exterior and interior noise levels to less than significant levels. Title 24 of the Uniform Building Code and California Building Code require sound rated partitions separating dwelling units in multi-family housing and lodging. The UBC and CBC require that walls between adjacent dwelling units meets a minimum Sound Transmission Class, STC, rating of 50. 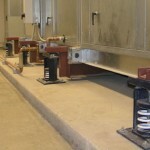 Floor/ceiling assemblies must meet both a minimum STC rating and a minimum Impact Insulation Class, IIC, rating of 50. Complaints from tenants about noise still exist in multi-family buildings when assemblies are designed only to meet the State minimum standards. This is especially true in today’s high end condominiums and mixed-use buildings where customers expect higher levels of sound isolation. Consultants at AEC are experienced at designing and reviewing assemblies to ensure that State and local building codes are met and exceeded. Meeting STC and IIC requirements is more than just picking an assembly out of a catalog and building it. There are too many variations on assemblies to have sound tests for every possible design. For the assemblies that have been lab tested, many of the lab tests were completed far too long ago to be still valid, using building materials that don’t have the same physical properties as they do today. In addition, some assemblies are shown to pass the STC or IIC requirements in one publication, and fail miserably when tested by others! AEC knows to be skeptical and diligent, cross referencing numerous lab and field sound test data and analyzing the specific assemblies proposed for the project. It’s all in the details…Doors, windows, gasketting, window mullions, pipe penetrations, and outlet boxes are just some of the deficiencies that can ruin an assembly rating if not addressed properly. There are some details that may not translate well or be accidentally overlooked by contractors and subcontractors. Or, contractors may make their own decisions on how an assembly should be built and inadvertently cause a design to fail. AEC provides construction inspection services to make sure the acoustical design is followed and avoid costly construction mistakes. 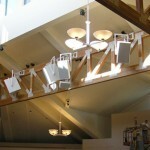 Mixed use buildings present a unique challenge for the acoustical consultant. In a mixed use building, a variety of commercial or even light industrial tenants occupy the same building as multi-family housing. The architect has to design the commercial spaces to accommodate a variety of tenants that could change year to year. A space designed for a quiet art gallery could suddenly have a noisy restaurant occupant, complete with loud patrons, a blaring sound system and roaring kitchen exhaust fans. In addition, HVAC equipment serving the first floor commercial tenants is often placed on the roof, causing sound and vibration problems for the highest rent residential units directly below. Trying to fix acoustical problems in mixed use buildings after construction and occupancy is both difficult and expensive. Whether new construction or remodeling an existing building, AEC will work directly with the design and construction team toward a successful project. 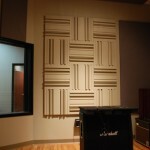 Despite the fact that improved acoustical quality usually means higher initial costs, the cost to fix problems after the fact is always many times higher. Save time, money and headache by hiring AEC to prevent acoustical problems before they derail your project.